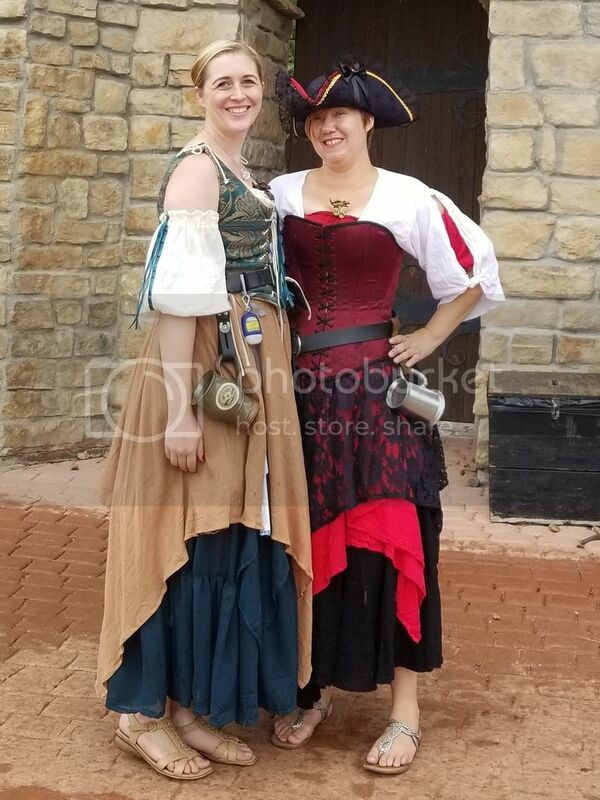 It's been a few years since I've gone to the Michigan Renaissance Festival as I've moved to Kansas. However, I have a friend back in Michigan who was asking for recommendations for a place to get garb there. I went to the website to see a list of names, so that I could tell her ones I've dealt with, but they are remodeling the site and it's not up yet. Can anyone remind me of some of them? I'd appreciate it! Re: Garb shops at the MiRen fest? updated vendor page is up now! The 2013 vendor list appears to still be up, just to serve as a reminder until the new page goes live. Some vendor sites suggest booth numbers have changed since 2013. And it looks like Sandlar will be in MN this year. Ye Old Renaissance Shop doesn't appear on the 2013 list but their site shows a booth number. Perhaps visiting the vendor's sites you have dealt with will say if they are coming this year? Or scrolling through MichRenFest's FB page, or looking at their "Liked By This Page" link?